The study of dinosaurs has been experiencing a remarkable renaissance over the past few decades. Scientific understanding of dinosaur anatomy, biology, and evolution has advanced to such a degree that paleontologists often know more about 100-million-year-old dinosaurs than many species of living organisms. 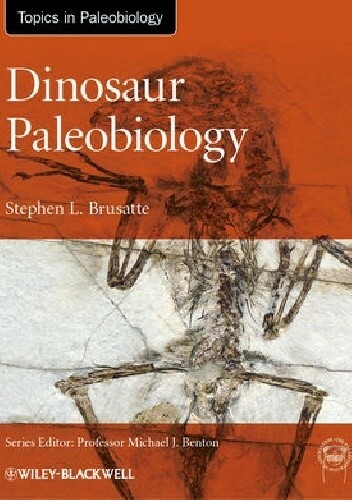 This book provides a contemporary review of dinosaur science intended for students, researchers, and dinosaur enthusiasts. It reviews the latest knowledge on dinosaur anatomy and phylogeny, how dinosaurs functioned as living animals, and the grand narrative of dinosaur evolution across the Mesozoic. A particular focus is on the fossil evidence and explicit methods that allow paleontologists to study dinosaurs in rigorous detail. Scientific knowledge of dinosaur biology and evolution is shifting fast, and this book aims to summarize current understanding of dinosaur science in a technical, but accessible, style, supplemented with vivid photographs and illustrations.